My Brick Herb SpiralWelcome, Pond Cottage! In my garden the river pumps are used to pump water down a little wriggling stream in the Wattle Woods. The water collects at the bottom of the slope in a small pond, which is surrounded by green Phormiums and pink Azaleas. Paths follow the stream and little arched footbridges cross the slowly trickling water. I've lined the little stream with black polythene and filled it with river stones, to give it a natural look. 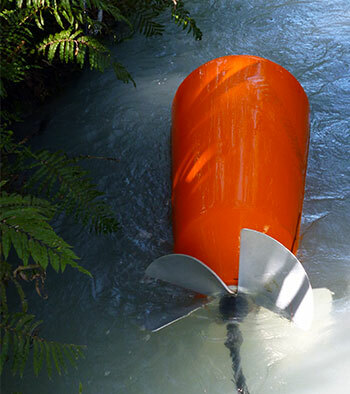 The Rife river pumps are very low-tech and work with nature, not needing much maintenance. 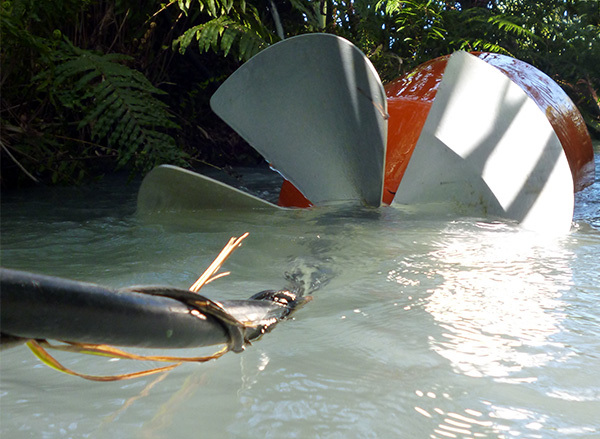 I just have to keep each propeller free of any debris that's floated down and jammed it. And when the nearby Waimakariri River is in flood, the intake is shut and the water level in the race gets really low. Then the river pumps just rest gently on the bottom, no problem. My Brick Herb Spiral	Top Welcome, Pond Cottage!